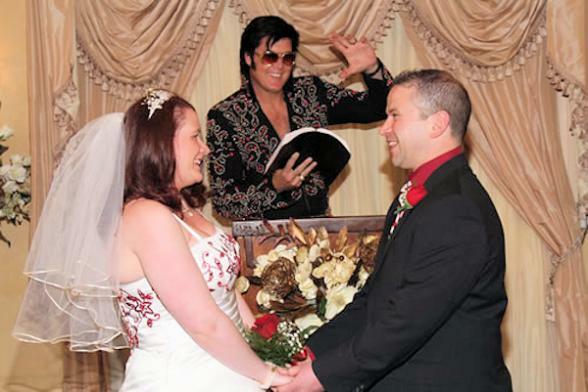 Las Vegas IS the wedding capital of the USA. The ease is the primary attraction, but there are a number of appealing reasons. 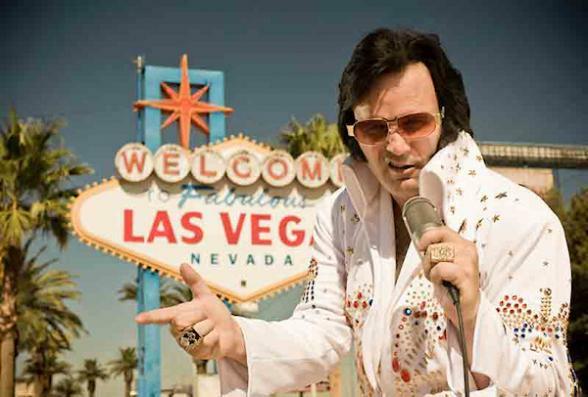 You can have any kind of wedding you want - it's Vegas! Opt for a big traditional production or a small, intimate affair. It can be a spur-of-the-moment "just the happy couple in blue-jeans" kind of thing OR an "Elvis in a pink Cadillac at a drive through window" occasion. After the ceremony there is an enormous choice of fabulous places to celebrate - we'll help you make the perfect selection for your special day. If you’re seeking a low-key marriage ceremony or vow renewal we’d recommend A Special Memory Wedding Chapel. On the day, a limo will collect you from your hotel and whisk you to the courthouse to obtain your wedding certificate. You’ll then be chauffeured to A Special Memory Wedding Chapel for your romantic ceremony in this small, elegant chapel. Weddings and vow renewals take place from 8am to 10pm daily. Elvis is in the building if you'd like him at the ceremony! 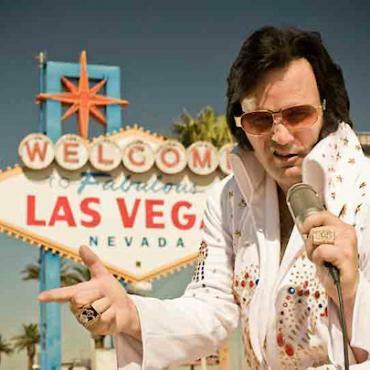 "The King" will walk the bride down the aisle as well as perform his most famous hits during the ceremony. Prices start at £348 per couple and include all of the items in the package above plus the man himself! Renewing your vows? Nothing like doing it Las Vegas style! Your service would be similar to the wedding ceremony and prices start at £186 per couple. 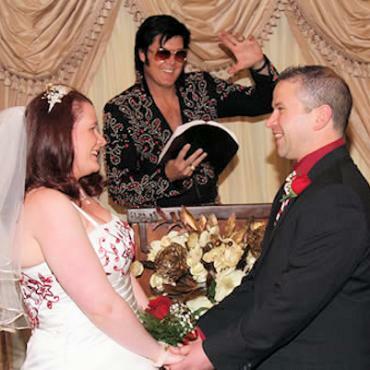 Add Elvis to your vow renewal from only £299 per couple for the package. 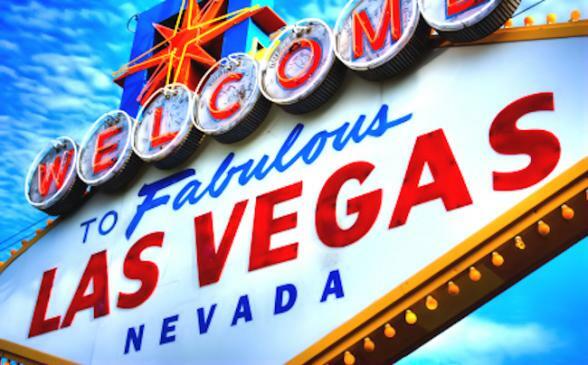 Bon Voyage can also arrange luxury weddings in any of hotels along the Strip. Traditional not your style? We can also put together Grand Canyon, Valley of the Fire and Harley Davidson weddings. Or what about a drive-through chapel in a Mustang Convertible? Call us today!